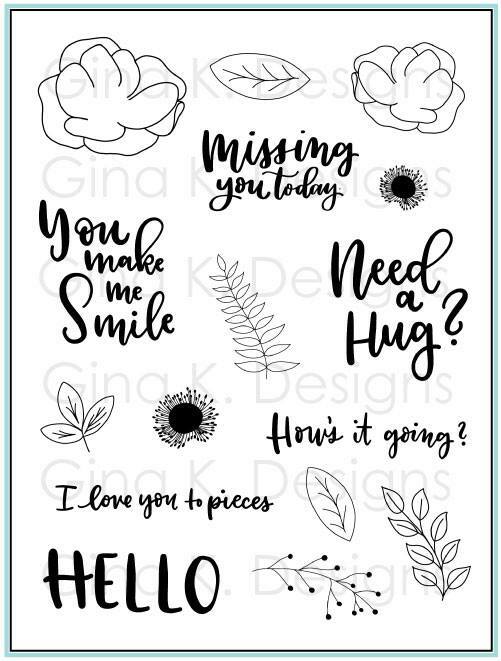 This Blog Hop is going to be full of gorgeous and inpiring projects so be sure to comment on each of the blogs as you hop because we will be giving away three $25 gift certificates to Gina K. Designs, one each day! So without further a do lets begin with the first card. 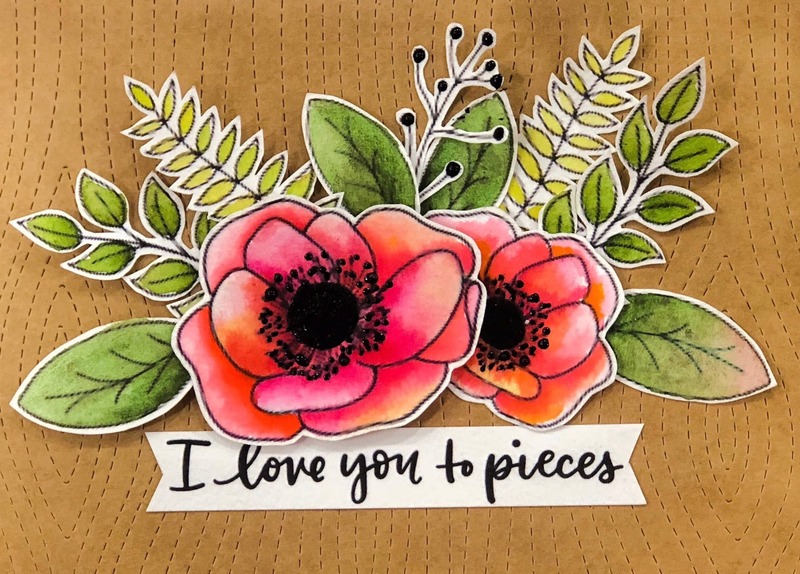 For this card I stamped the images on Arches Cold press water paper and used the coordinating dies to cut all the pieces. 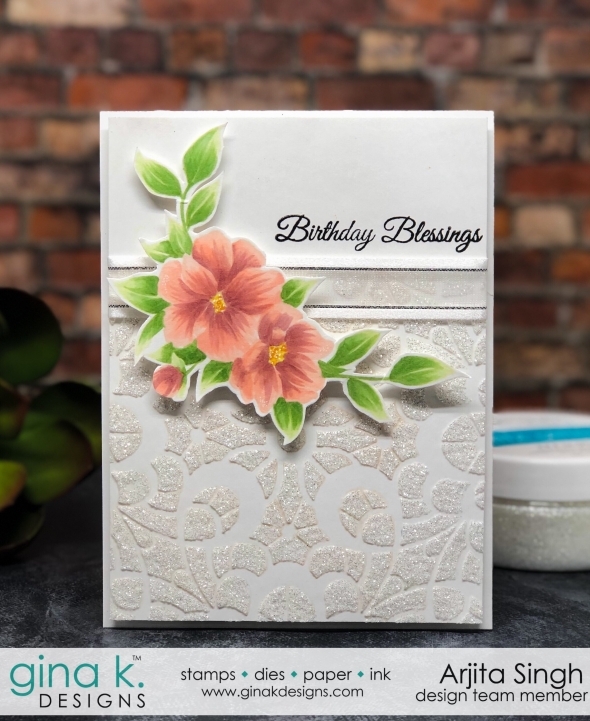 I love creating layers on my cards and these pieces adhered with foam tape makes this possible without the difficult steps involved in masking. I coloured the images with some watercolours and arranged them on some Kraft Coloured card stock. 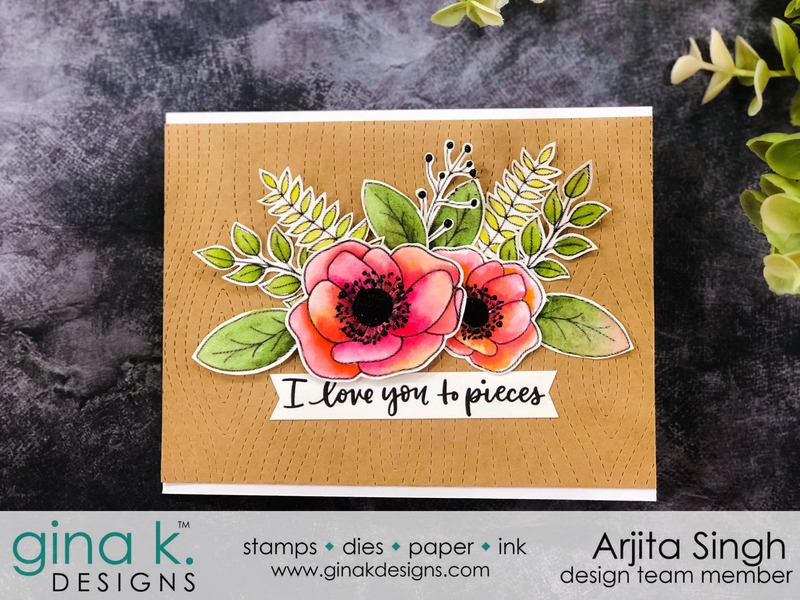 I added the sentiment which says I LOVE YOU TO PIECES from same stamp set to finish the card.Finally I used Imagine Craft Black Pico Embellisher to add the pollens and flower centers in the card. Here is a video where you can see the entire process. 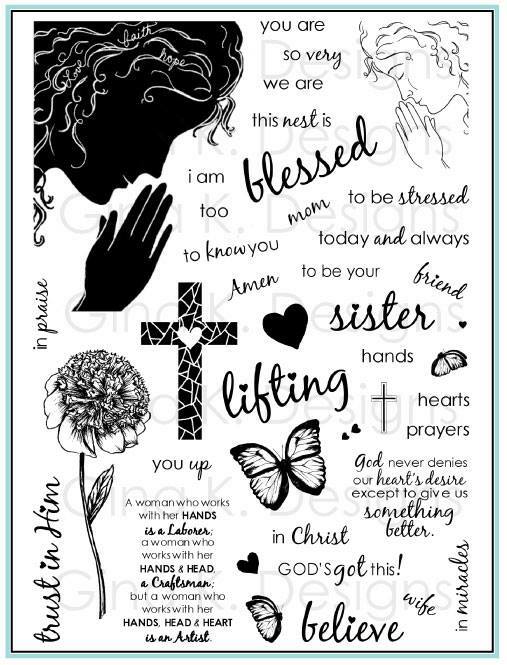 For my second card I used the Flower image from the Women of faith stamp set and stamped the image thrice using Distress Ink in Antique Linen. 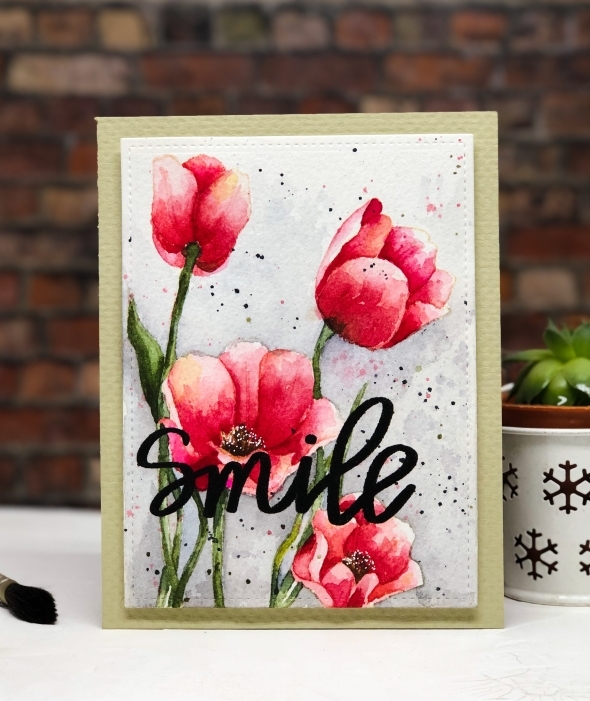 I used Arches cold press watercolour paper and coloured it using Mijello Mission Gold Water Colours and kept adding layers after layers of pigment to achieve the depth and dimension. I also created a background using few colour washes and that brought everything together. I used Versafine black Onyx Ink to stamp the sentiment and finished the card using some resin water droplets. 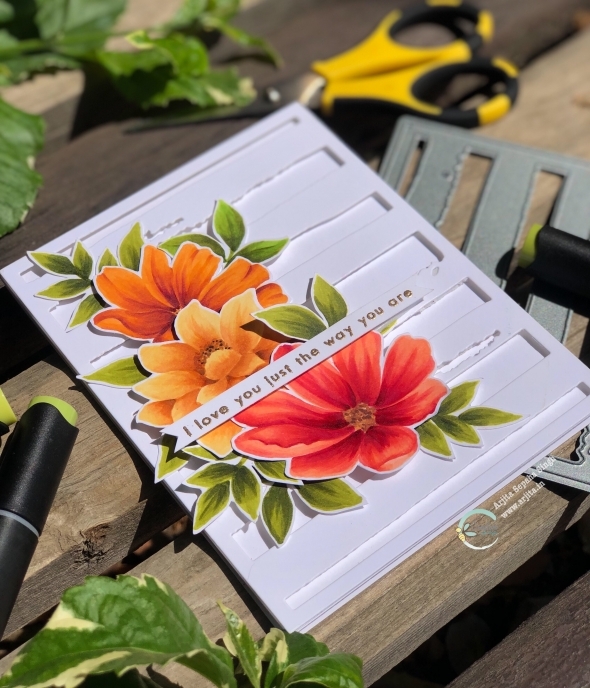 Now I would invite you to join us in the blog hop and visit all the other blogs to find more inspiration using this stamp set. Ohhhh my! What a stunner! Had to pick my jaw up off the floor! GORGEOUS! 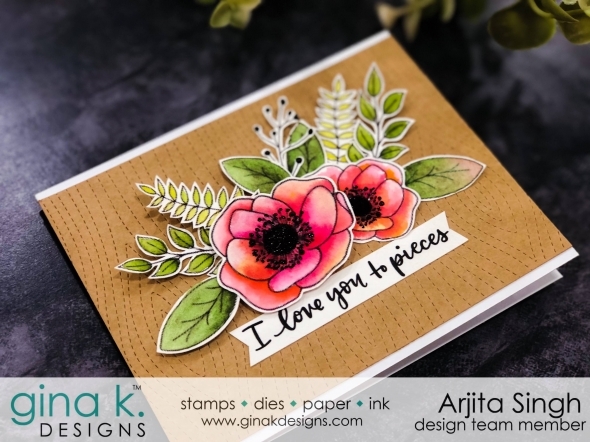 Beautiful cards Arjita!!! Your coloring is beautiful. 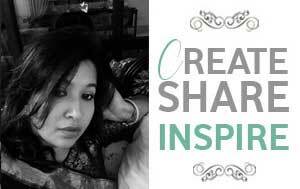 Arjita, Your coloring is always so beautiful. You bring these anemones to life. I really like the struoesm fkiwers and the droplets. So pretty. 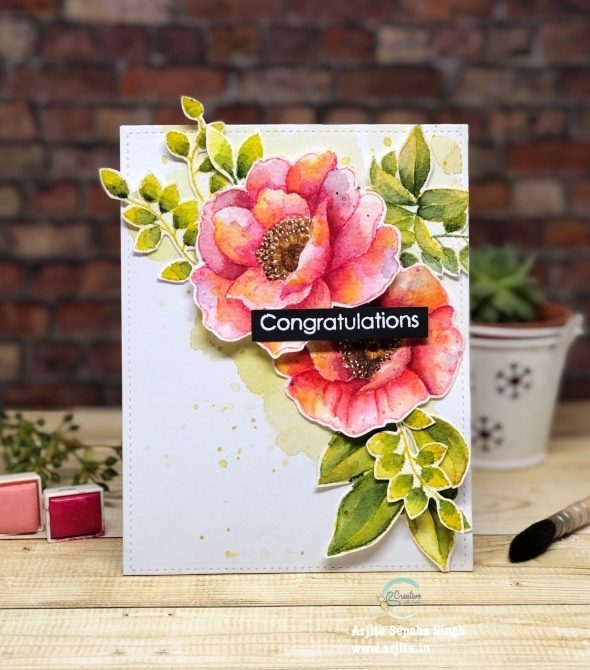 I really like the flowers, stripes and droplets on this card. It all blends so nicely.